Twin Cities power-pop quartet, The Melismatics, have done it again. 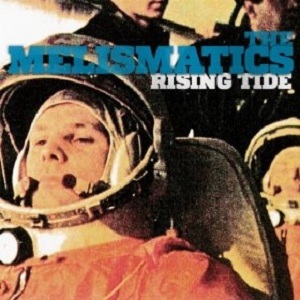 Their fifth full-length album, Rising Tide, could be the soundtrack to a coming of age film, and The Melismatics definitely decided to share some of the wisdom they gained as they’ve grown both musically and through the trials and tribulations of this daily game we play called life. From the opening track “Crawl, Baby, Crawl” which reminds us to slow down and enjoy life, their catchy guitar licks and synth-driven melodies do anything, but make us want to take our foot off the pedal or turn down the volume for that matter. In fact, most of the songs on Rising Tide carry a deeper, lyrical message than previous albums, but they stay in true form musically throughout. Pony and the boys don’t disappoint and if anything, have added to their already pop-punk, indie-rock persona by branching out musically and sending a message about life, love, and the importance of being happy. As much as the album’s themes touch on mortality, The Melismatics don’t want us to ever stop dancing. So, leave the cares and concerns behind, grab a copy of Rising Tide and dance, dance, dance.